The Best Way Inn Houston - Medical Center is surrounded by over 6 medical facilities, this hotel is convenient to MD Anderson Cancer Hospital, Texas Childrens Hospital, and the VA Hospital. 7 miles from Downtown Houston, and 3 miles from the Astrodome. Other nearby centers are St. Lukes, Womens Hospital of Texas and the Baylor College of Medicine. Rice University is 7 miles from the Best Way Houston, and the University of Houston is 5 miles. Other nearby attractions include the Houston Zoo, Houston Museum of Natural Science, and shopping at the Galleria is a short 10 miles. 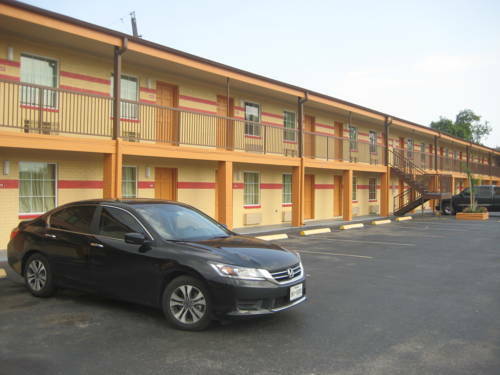 The Best Way Inn Houston offers free parking and free high speed wireless internet connectivity. All guest rooms are furnished with free high speed internet access, microwave, minifridge, cable TV with extra stations, free local calls, and individually controlled heat and air conditioning. Toiletries are available upon request, toothbrush and toothpaste, razor and shaving cream.